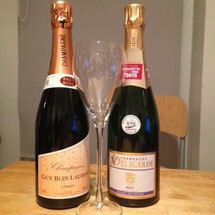 Wine blog: Every day champagne at every day prices – is it possible? 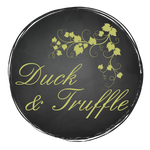 Great small Champagne producers with an amazing selection at fabulous prices. Whilst attending a wine fair in Bordeaux a few years back, my wife and I decided to celebrate our wine purchases with a glass of bubbly from one of the stalls. We “accidentally” selected the champagne stall of Delagarde Delozanne, a small producer with a great selection at fabulous prices. I, the wife was driving!, couldn’t stop at tasting just one variety so I slowly worked my way through their champagne list. I was particularly interested in their Blanc de Noir. It has such a distinctive intense flavour and very fruity. It is made from 100% Pinot Meunier, which Krug lovers will recognise for its distinctive taste. This grape gives the champagne a real flavour – unlike some, where you only taste acidity and they have too much gas. And the prices were very reasonable, averaging €16. We selected a few bottles to purchase of each variety – Blanc de Noir, Brut Rosé, Tradition, Cuvée Excellence – and have since been placing orders regularly with this vineyard. A year after the wine fair we visited the Champagne area in search of other great value champagne producers - we appreciate the more known Champagne labels but we were looking for an everyday champagne that we wouldn’t feel guilty for the cost every time we popped the cork. On our visit, we enjoyed a degustation at Guy Blin Laurent. Their prices are similar to Delagarde Delozanne and they are located in the same area, Montagne de Reims. The Rosé and the Cuvée Violette were very enjoyable (quaffable as some would say). And so we now have our favourites – Blanc de Noir and Cuvée Excellence from Delagarde Delozanne and Rosé from Guy Blin Laurent.